Durability:Solid Tube (no liquid or gels). Nylon cord. Non-rusting cord lock. 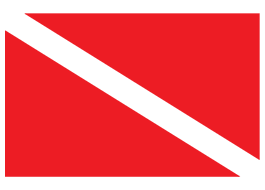 Depth/ Temperature:Take to ANY depth underwater. Works in ANY temperature. Advantages:No waste. Allowed in glow stick restricted dive site like Bonaire. No batteries. No Hassle. 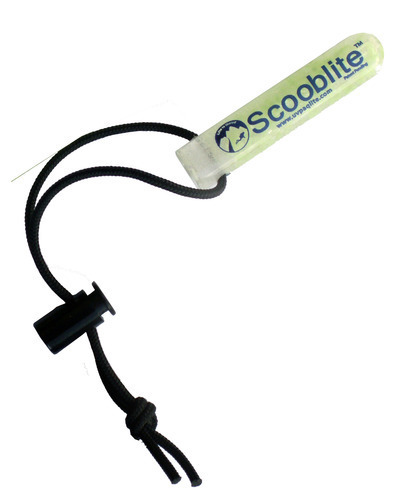 Scooblite 3 inch is a reusable glow stick designed for scuba divers. The Scooblite is made from exclusive crystals that glow in darkness and recharge by absorbing light from any source. Before your next night dive, charge the Scooblite with a flashlight (over 100 lumens works the best) and attach to your diving gear. The Scooblite can be reused over and over again forever, it never wears out.